Jilda and I were on the road before the chickens left the roost this morning. I know that because when I stepped down the feed them this morning, they were still on the roost. They cackled me up as I freshed up their water and filled their feeders with scratch feed. They're used to be feeding them a few hours later each day. 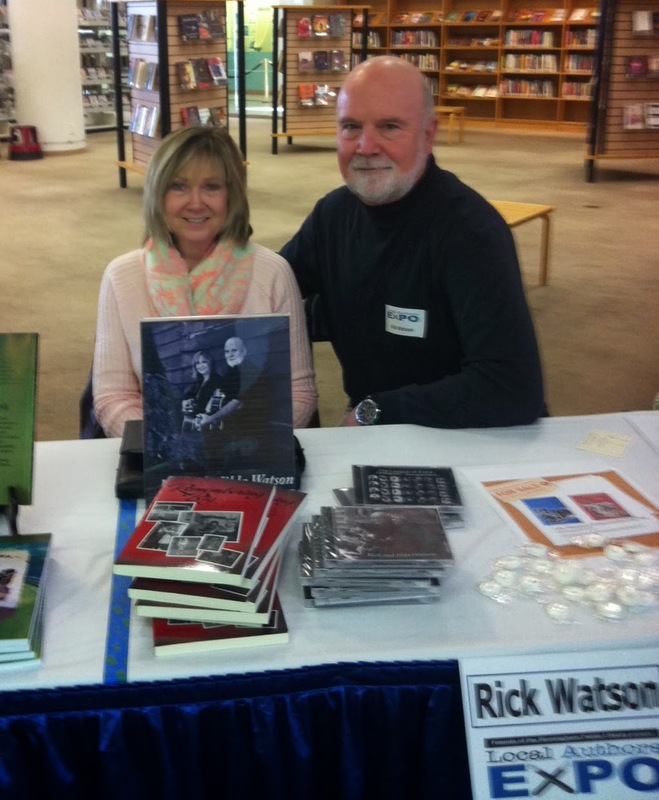 We were in Birmingham by 8 a.m. for the Local Author's Expo at the Birmingham Library. Sometimes these events are really successful and sometimes it's more about the networking. Today was a networking day. Our friend Brenda snapped a pic of Jilda and me as we manned my table. Tonight we're both whupped. So this will be a short update. I'll do better tomorrow. Networking or not, looks exciting to someone like me! Great opportunity! How fun! A local authors festival! Have a great week! Glad you had a good day and also got a lovely pic to share! You both look great!